The 10-member Council of State gathered Tuesday for its regular meeting, but postponed a decision on moving the DMV headquarters to Rocky Mount. Presently the main DMV office is in an aging East Raleigh building. In recent years, there have been concerns related to fire safety, as well as asbestos in the facility, and the state Legislature determined the headquarters to be inadequate. So, it set in motion a move, complete with a request for proposals. Per state law, State Transportation officials are required to accept the lowest bid, and that turned out to be in Rocky Mount, nearly an hour from the current site. 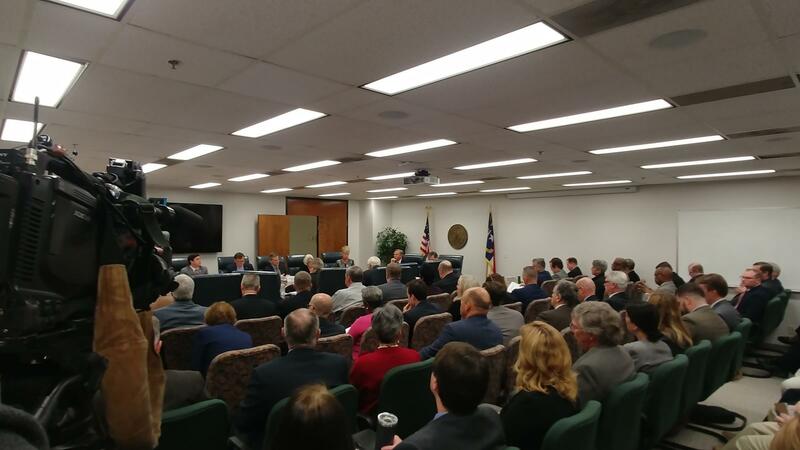 The proposed moved was scheduled for a vote at Tuesday’s Council of State meeting, but that was delayed after all of the state legislators from Wake County, as well as the State Employees Association asked, the Council to oppose the move. There were concerns about how employees would be impacted and what provisions could be made. “That’s certainly something that state government can look at – is whether there are other places in the state that state offices can be located. But this was more of a product of what the General Assembly ordered them to do, and that’s what they did,” Governor Roy Cooper (D) told reporters following the monthly meeting on Tuesday. The Council of State is made up of 10 statewide officials. It could accept, reject, or again delay the move at it's March meeting.